This Universal Sword Frog is designed to fit a wide variety of swords and scabbards, allowing them to be suspended from a belt via leather straps. 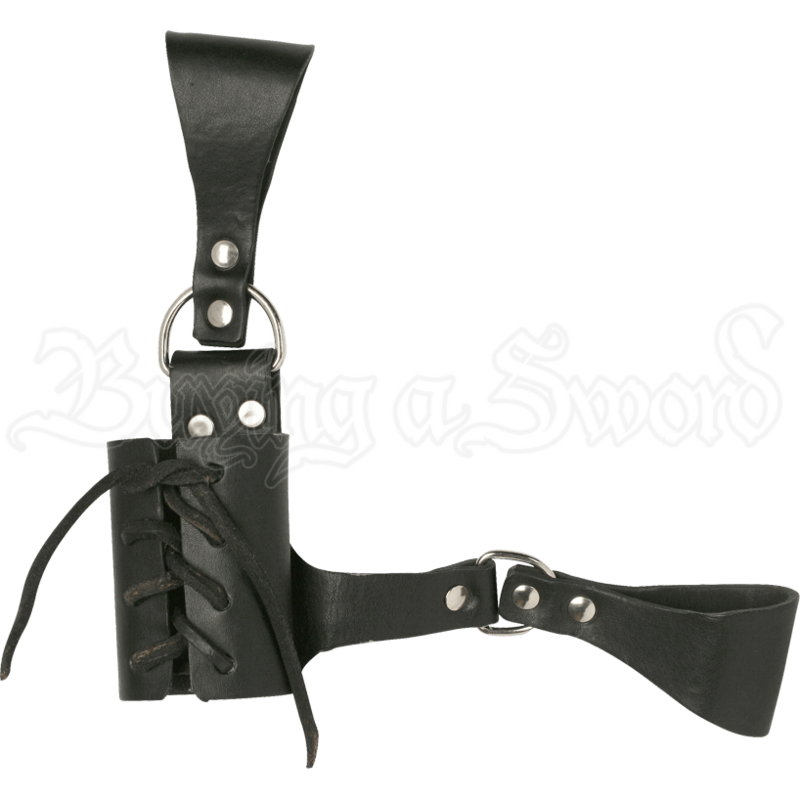 The frog comes with adjustable lacing, so that the wearer can make the frog accommodate everything from a humble dagger to a grand longsword, all while supporting the weight from a waist-worn belt. 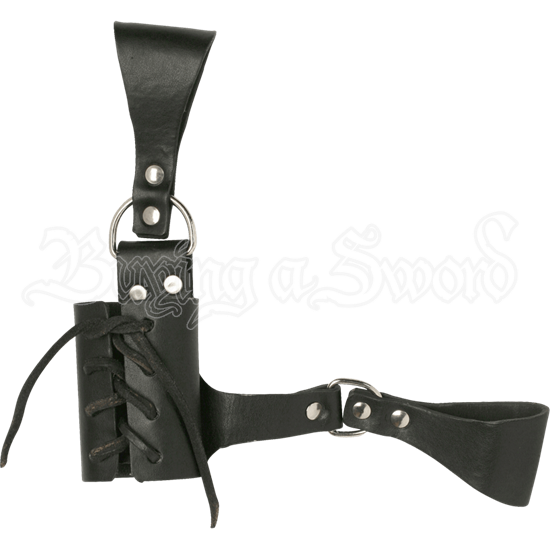 Made from black leather with steel hardware, this Universal Sword Frog is sure to fit in with virtually any sort of attire that requires a sword to be worn. This sword frog is inexpensive, attractive, and functional. It's not the most comfortable I've worn as the weight of the sword drives the edges of the leather into my skin. But for the price I'm very happy with it. Over a thick costume, there's not really any problem. To get anything nicer or more comfortable is usually a jump in $50 or more. I'm very happy with the product. For nine bucks how can you go wrong? It's just a simple frog, nothing authentic or fancy, but it does the job, looks decent and it's inexpensive on top of it all. It held my long sword well, and held it in a comfortable place all day.